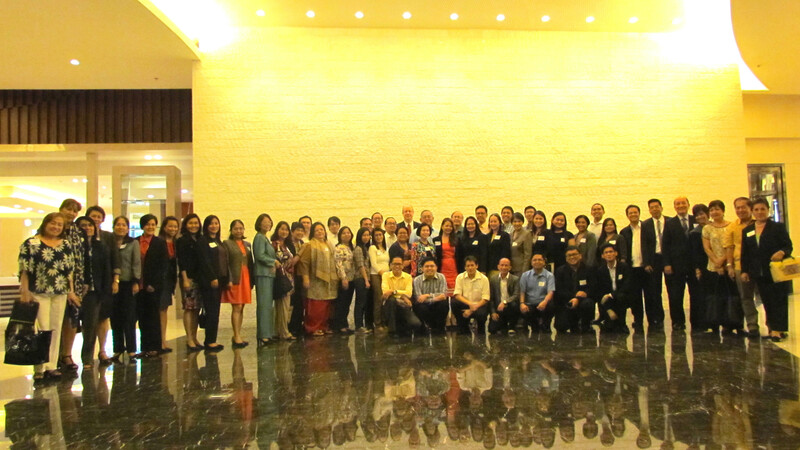 The Philippine Council for the Advancement of Association Executives (PCAAE) formally launched its flagship certification program on June 29-30, 2015 with two interactive seminar-workshops which are part of a series of training programs leading towards earning a Certified Professional Association Executive (CPAE) title. The event, held at the new Marriott Grand Ballroom facility, was attended by 57 association professionals from 45 membership organizations. The CPAE program has been developed to further professionalize association governance and management in the country and offers excellent career opportunities and growth for those already working/involved or those considering to work/being involved in the association sector that includes Board members, officers, staff and professionals. The first seminar covered “The Right Foundation for Association Governance and Management” (June 29) where good governance was emphasized as a key ingredient in creating associations that are independent and mission-driven, can grow a broad membership base, can be responsible financial stewards, provide relevant membership services and effectively represent their member interests in the public policy process. The workshop also gave the participants further insights on how governance differ from management, familiarize them with key provisions of their constitutions, appreciate their governance structure and roles of members, committees, directors, managers and board process. The second program tackled “Designing Successful Association Membership and Services” (June 30) which highlighted the importance of membership as the lifeblood of an association, discussed the techniques in membership recruitment and retention and shared the tools and techniques in designing membership services as well as on how to communicate services with success. The main resource person and thought leader was Mr. John Peacock, General Manager of Associations Forum Australia http://associations.net.au/ who has 25 years of experience in the association, charities and non-profit sector. For inquiries on PCAAE, CPAE and the above seminars, please email Enrique ‘Boyet’ Florencio at [email protected].